I did find this to be a really engaging interpretation of Shakespeare’s Hamlet. 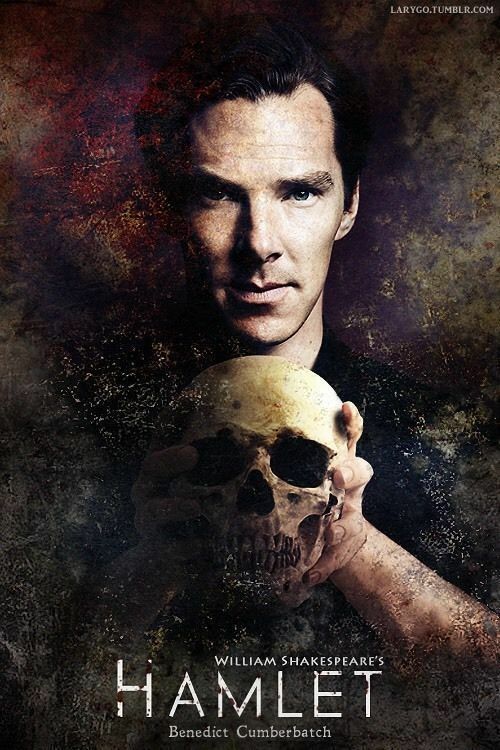 Benedict Cumberbatch portrayed Hamlet really well and I felt he was very passionate in the role. I felt myself put a bit through the emotional wringer. While I do find the Shakespearean language really hard to understand, I was still able to follow what was going on through the actors and the facial expressions and actions, as well as the delivery of their lines. The atmosphere in this film was really strong. There was good use made of lighting and although there were some flashing lights, most of it was easy to make out. There were some really good comedic moments in this, especially when Hamlet slipped into madness. It was, however, hard to understand how he felt about Ophelia. He only seemed to demonstrate that towards the end of the play… and seemed more concerned with how it had affected Laertes. I did feel a lot of sympathy for Ophelia. I thought the actress who portrayed her did a really good job of showing Ophelia’s almost childlike nature and how confused she was by Hamlet’s actions. I thought her ending was awful… although it wasn’t actually shown; just talked about. While I did think there were some confusing moments in the play, there were a lot of quite moving scenes and the one right at the end was particularly effective, even though I found it confusing and I only understood it all after having read the synopsis of the play. I also really liked the friendship between Hamlet and Horatio. While the play was morbid, there was some brevity in some of the lines. The Ghost was a bit confusing, but also very well portrayed, in my opinion. I was a bit confused about why there were modern aspects to the play, but those didn’t really affect my enjoyment of it. I thought this play was a lot better than I was expecting and I found it entertaining, but obviously deeply sad. While I have seen Benedict Cumberbatch in many different things in the past, I thought he was particularly good in this and that it showed how versatile he is as an actor. And I thought all of the actors did well and seemed to put a lot of effort into their roles.